The Winnipeg Public Library wants to modernize its multilingual collection — books in languages other than English, French and Indigenous languages — a step which may allow users to finally search the collection online and make hold requests. “With our community being so diverse and the population continuing to grow, we want to make sure that we’re meeting our customer demand and doing it in the most effective way possible,” said Terri Wiest, a spokesperson for the Winnipeg Public Library. The library’s chief concern is how to catalogue the 26,000 items the library has in 36 different languages — a small fraction of the 1.3 million items available for loan at the library. “We want to make it easier for our customers to locate the material that they want. That’s always our goal,” said Wiest. The City of Winnipeg is seeking a consultant to review Winnipeg’s demographics and how the library organizes its multi-lingual collection as well as offer recommendations to improve the collection — whether it’s adding more books in under-represented languages or carrying different authors or subjects. Currently users looking for a book in languages like Punjabi or Tagalog have to go to a library in person (most multilingual books are at Millennium Library) and physically browse the collection of fiction and non-fiction books to find something they want to take out. There’s is no way for users to consult or search the collection online ahead of time or even ask for a specific book to be delivered to their local library. “They can’t place holds. We can’t request anything,” said Wiest. Ponz Mapuyan, a settlement worker who supports newcomers in Point Douglas, welcomes efforts to improve the multilingual collection. “It is important for any library to have various languages which would cater to other cultures,” he said. Parents especially like books in their mother tongue because it can help pass along their language and culture to children, he said. 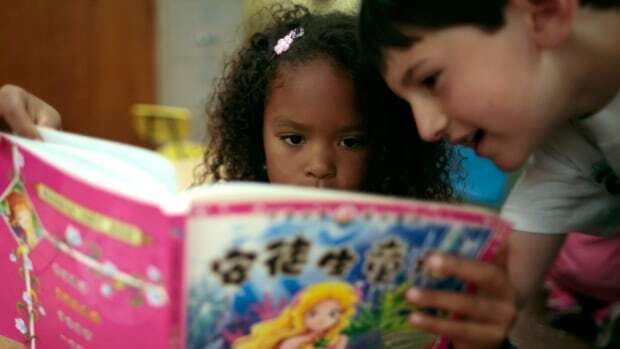 Millennium Library has a collection of multilingual children and teen books on the main floor. Adult books are on the second floor. Among the clients Mapuyan serves, most speak Arabic or Tagalog. The heaviest users tend to be better educated, he said. Mapuyan thinks that’s because they are simply more familiar with what libraries tend to offer. Mapuya says there’s an opportunity for the Winnipeg Public Library to do a better job reaching out more broadly to newcomers by advertising its services and resources in different languages. Many settlement agencies rely heavily on Winnipeg Public Library to help clients apply and prepare for Canadian citizenship, he said. The library also offers a number of free legal workshops under then banner “Law in the Library” that can help newcomers with legal issues regarding refugee claims and other immigration issues.